This design is inspired by chunky cable knitting. 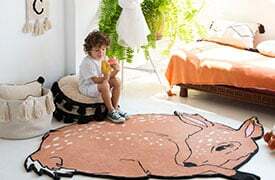 This rug is machine-washable (conventional washing machine with 5 kg capacity size 80x120 cm and 6 kg capacity size 120x160 cm) and it is 100% cotton. Its pastel colors add such a special light, and its texture is perfect for any type of decor. from the living room to the dining room or children\'s rooms, for both girls and boys. Available in two sizes, for all room sizes. Handmade:carefully handmade one by one, and in a traditional way. 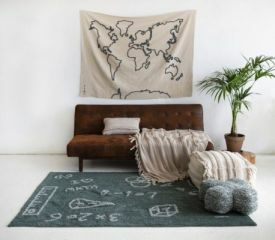 Eco-friendly: Natural cotton and nontoxic dyes. Light thanks to their soft and flexible composition. Easy to combine: you can combine it with other elements to create a warm and cozy atmosphere. A handmade and carefully designed product. Each piece is unique, hence there may be small variations in color and shape. It is environmentally friendly. Free from toxic dyes or contaminants. Machine wash separately using a delicate, 30ºC program without whitening. 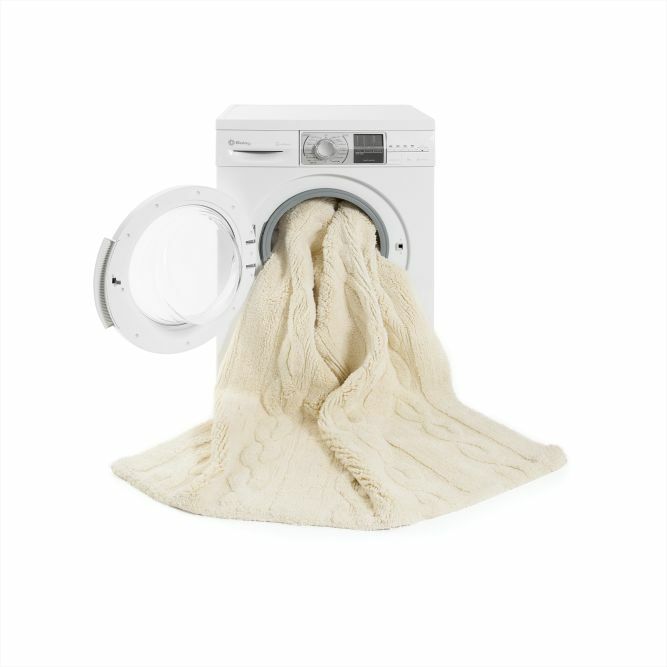 Do not leave in the machine once the wash has finished, as the colors may run or stain other parts of the rug. Dry in the dryer at a low temperature. Don\'t worry if lint appears, as this is residue fiber produced from cutting the cotton. 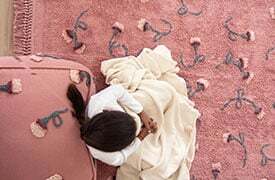 During the first few days, it is advisable to sweep the rug with a hard brush in the direction of the plush, and then it is recommended to use the vacuum cleaner. Should you find any long or loose threads, cut these using a pair of scissors. Never pull a thread.